Nova simplifies end-of-life planning to ensure your voice is heard even in the most difficult times. End-of-life care is fragmented, costly, and can be ethically challenging if a patient is no longer able to communicate for themselves. Advanced healthcare planning can alleviate unnecessary suffering and address decisions that doctors, family members, and patients might face during a medical crisis. Despite this, only one in three Americans have taken the necessary steps to plan. Nova is a guidance tool for individuals to personalize and share their end-of-life wishes with the people who matter most. Using a friendly and conversational interface, Nova guides people in making tough decisions using concepts they can relate to. Nova’s mission is to help people make sure their medical care, legal paperwork, and other details are managed in the way they would most prefer, making an emotionally difficult process easier. 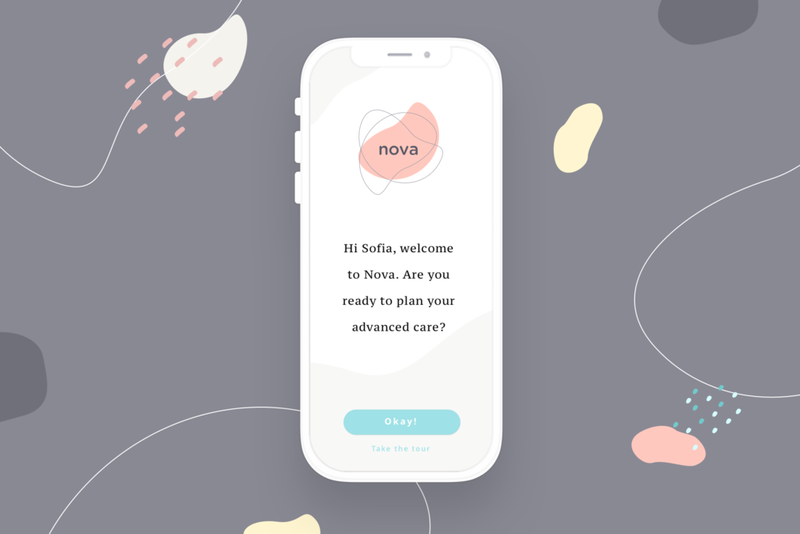 While nothing can truly prepare anyone for end of life, Nova can help empower people to retain some sense of agency during a healthcare crisis.